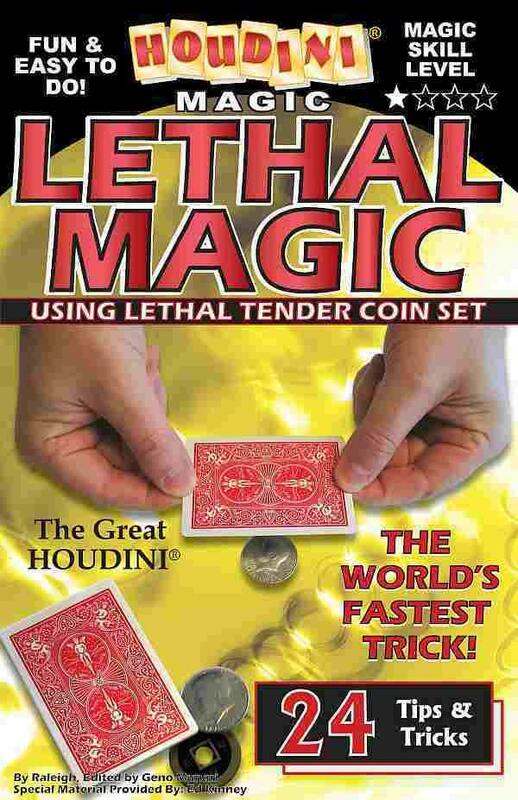 The World's Fastest Trick: A wallet is shown containing one playing card and two coins. 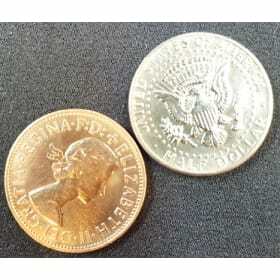 The spectator is asked to pick a coin (example silver is chosen) leaving the Brass coin in the closed wallet. The silver coin is placed on top of the spectator's hand. 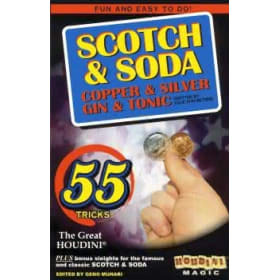 The performer flicks the playing card over the silver coin and, in an instant, the brass coin is on their hand. Inside the wallet is the silver coin! 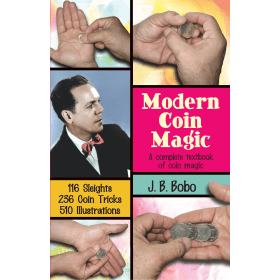 Marked Coin Through Table: Spectator signs a quarter. 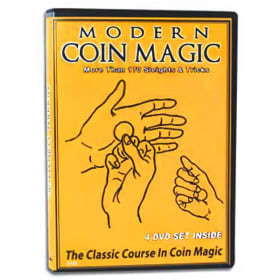 The magician places the coin on top of a solid table. 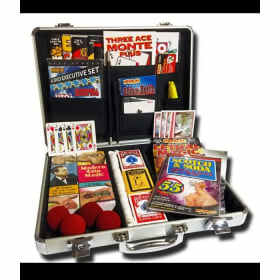 The magician "flicks" a card over the coin and the coin magically penetrates the table and drops into a class underneath! 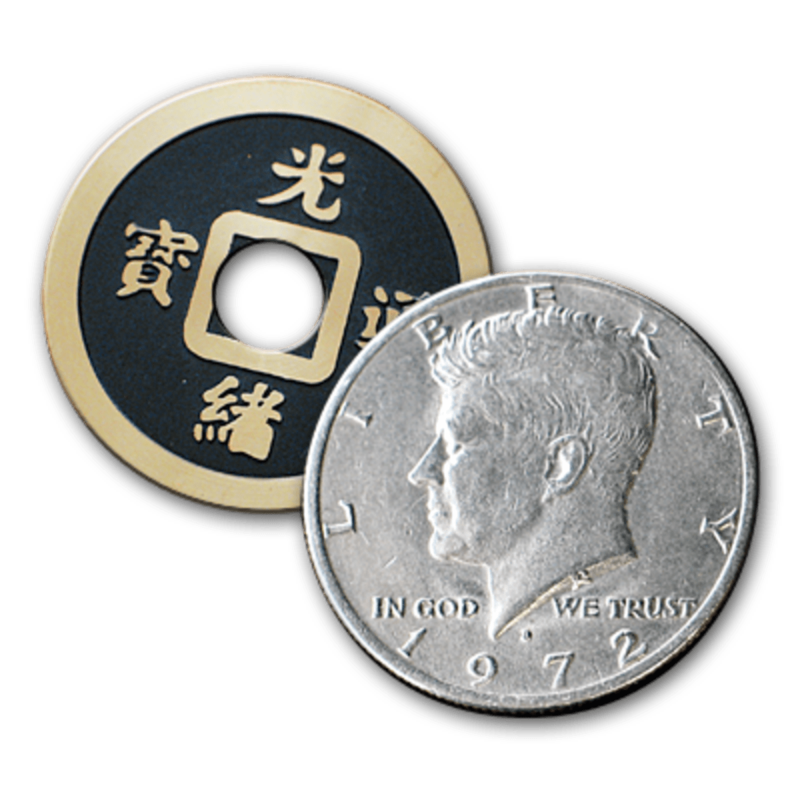 Telepathic Quarter: A half-dollar is shown then covered with the card case. 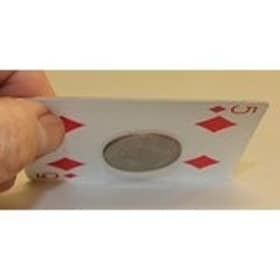 With a wave of the hand, the card case containing the deck is lifted and the quarter has now changed into a Chinese coin the deck is removed from the case the quarter is now seen in the middle of the deck. The card below the half is found to be the selected card! You will need to supply your own real .50 cent half dollar coin. Most banks will have this coin if asked.